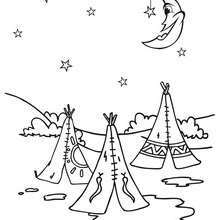 Welcome to Hellokids Native American village of fun Indian printable coloring pages. 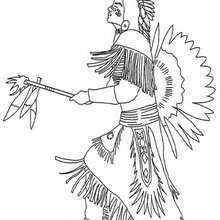 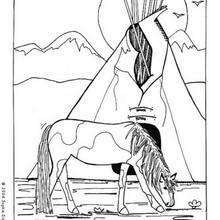 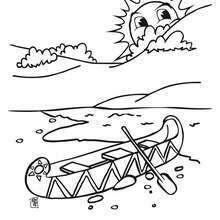 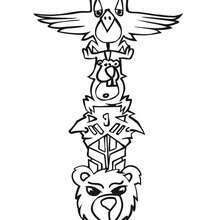 Select one of these Native American online coloring sheets by clicking the picture below to make it larger. 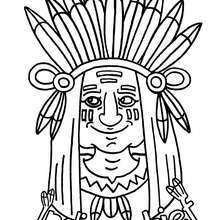 You can color your Indian coloring page online and then print out or print your favorite Indian coloring page and color with your vibrant crayons, markers, pencils or paint. 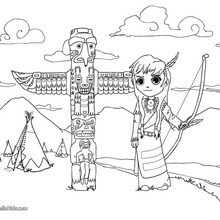 Enjoy the lovely selection of coloring pages such as: indian boy, Indian girl, Indian Chief, Indian horse, Indian teepees, Indian totem pole and Indian canoe. 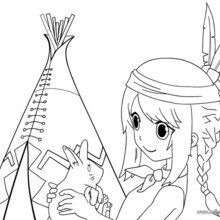 The Native American coloring sheets make a great activity to talk about Thanksgiving and Pilgrims. 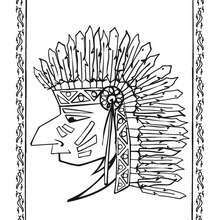 The Indian printable coloring pages are fun to color and use as Thanksgiving decorations. 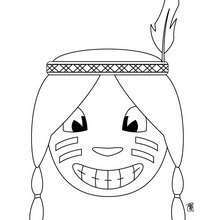 If you are doing a report in school on the Indians, Pilgrims and Thanksgiving, these engaging printables make a great addition to your history project.